In the late sixties film director Louis van Gasteren (b. 1922) made a series of three films on the European Community. During that time he met Sicco Mansholt (1908-1995), agricultural commissioner of the EEC. They became close friends. Because of their friendship Van Gasteren got a special insight into the world of this prominent politician. Van Gasteren often accompanied Mansholt on his journeys through Europe. 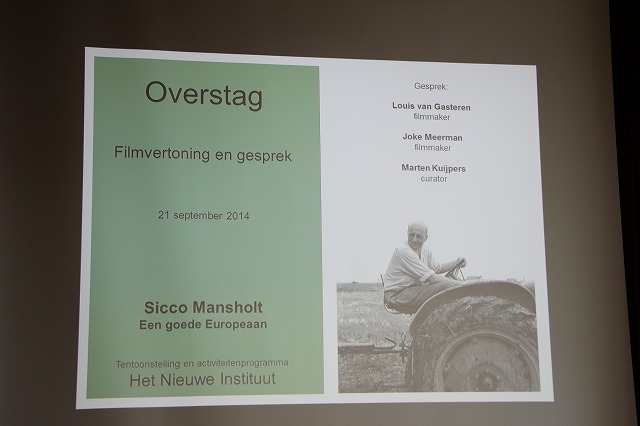 Thus, he was able to document from up-close the conflicts and dilemma’s that Mansholt had to face as politician and statesman.Overstag (Tack; although the word in Dutch also means Change of Heart) is a moving documentary about the struggles for a post-war European Community. Louis van Gasteren and Joke Meerman were present at the screening of the film at the NAI (Het Nieuwe Insituut) in Rotterdam on the occasion of an exhibition of this "Good European." Mansholt found that his agricultural politics had undesired side effects (such as overproduction and bio-industry). He was courageous enough to admit this change of heart and argued the situation had to be turned around. His call is still urgent, today perhaps even more than ever before. See also this website for more information about Overstag and other important films made by Louis van Gasteren. 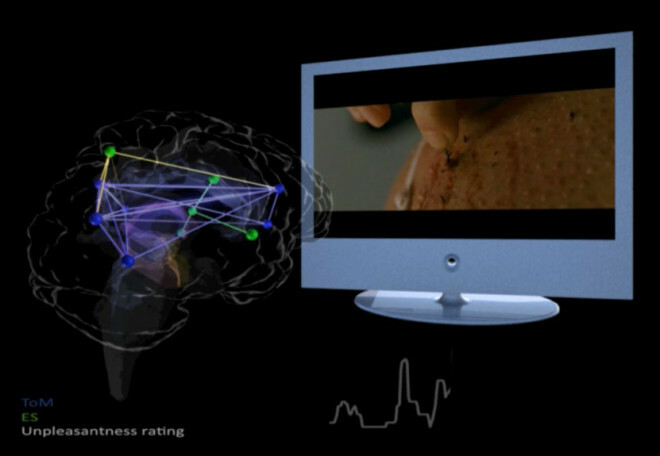 A whole range of Wired articles on (neuro)science and cinema. Sounds of Aronofsky from kogonada on Vimeo. 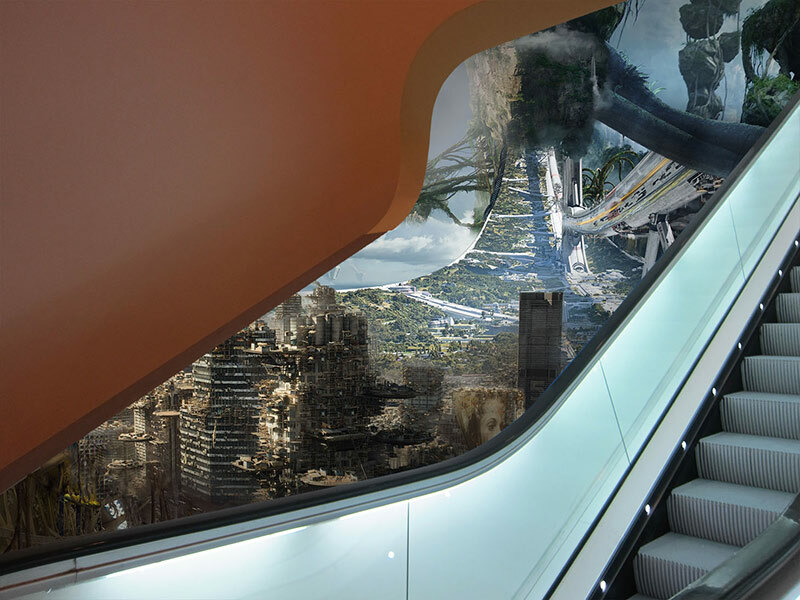 On the escalator of the Stedelijk Museum Margit Lukács and Persijn Broersen made a beautiful installation based on familiar yet alienating images from Hollywood movies. See for more information on the artists their website. Ruins in Reverse is part of the exhibition On the Move of the Stedelijk Museum Amsterdam. There are two-way mirrors which allow you innocently to spy on people. This is one of the finest metaphors for consciousness. There is no two-way screen because there is nothing to see on the other sice of the screen, nothing to see without bein seen. Jean Baudrillard. Civilization and Other Chimeras Observed during the Making of an Exceptionally Artistic Feature Film, an interesting essay-film, inspired by Jean Baudrillard by Aryan Kaganov (2009). Read an analysis of the film (in Dutch) by Theodor Steen on Salon Indien. 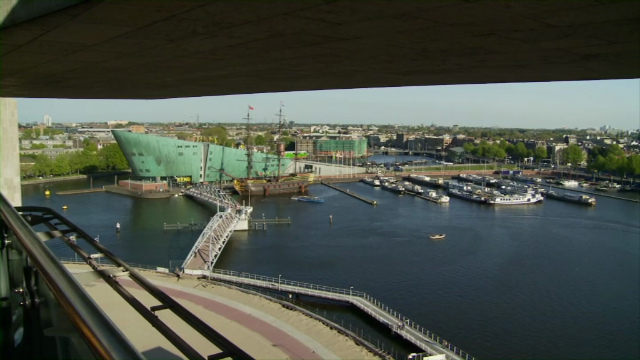 Het Amsterdamse IJ is vaak het decor geweest van Nederlandse speelfilms. Aan de hand van filmverhalen die zich aan het IJ hebben afgespeeld, schetst Patricia Pisters een historisch beeld van een stad in ontwikkeling. We zien daarin dat niet alleen de IJ-oevers zelf voortdurend veranderen, maar dat de verhalen die zich hier afspelen veel vertellen over onze koloniale geschiedenis, over de na-oorlogse migratie periode, over de ontwikkeling van de havens, de stadsnomade en de veranderende betekenis van Amsterdam Noord. Woensdag 8 Oktober 2014, 18.00 in Pakhuis de Zwijger. Zie hier voor meer informatie over deze avond en de hele serie Stadslicht.